Written with Tammi Gaw - read more about Tammi here. 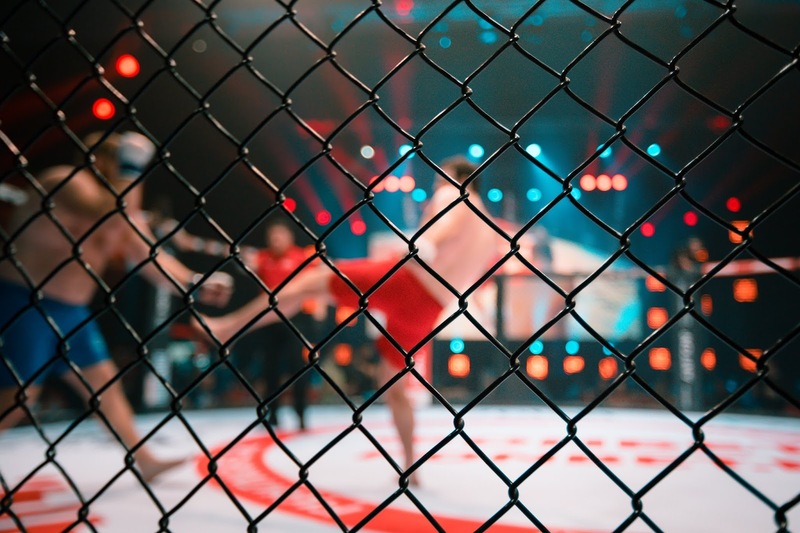 The Ultimate Fighting Championship (UFC) is a professional mixed martial arts (MMA) organisation, headquartered in Las Vegas, and is the leading MMA promoter holding events globally and boasts some of the sport’s biggest stars amongst its roster. However, on 06 October 2018, the organisation hosted UFC 229 in Vegas which was a sold-out event with its headlining fight seeing Khabib Nurmagomedev defend his lightweight title against arguably the UFC’s biggest star, Conor McGregor. The event appeared to be following the usual and normal course, with nothing appearing out of the ordinary, when after the bout Khabib, unexpectedly, made his way across the Octagon leaping over the fence and attacking a member of McGregor’s entourage, causing a mass brawl to break out. The hysteria soon spread with McGregor being attacked from behind by a member of Khabib’s team, whilst still inside the Octagon. The melee was soon followed by cries of better regulation and security surrounding the events citing that innocent bystanders health and safety had been put at risk and fights between fans had spilled out onto the streets, as a result of high tensions. The disciplinary implications and immigration ramifications of the incident was also hot on the lips of MMA pundits. I recently drafted an article for a journal in relation to the taxation of referees in the UK and Germany and the differences in the legal positions of both countries. Whilst carrying out research for the case, I studied a recent legal decision concerning particular referees in England and whether they could be said to have an employment relationship with the organisation that appoints them to matches, the Professional Game Match Officials Limited. The case was very interesting from not only a legal perspective but also in terms of providing detailed insight as to how referees are appointed, managed and continually assessed. It caused me to dig a bit deeper to see if I could find any other cases and information. The in-play decisions of referees has been a hot topic of late not only in Scotland but throughout the UK. I thought it would be helpful to provide a summary of some of the discussions in the cases I reviewed which, in my opinion, provide great insight into the relationship between referees and governing bodies. This article will focus on England and Scotland. In England, the Professional Game Match Officials Limited (PGMOL) oversees the management and administration of refereeing for matches in the most significant national football competitions, including the Premier League, the FA Cup and EFL competitions. It was founded in 2001 and its members are the Football Association (FA), the Premier League and the Football League (EFL). The FA remains the governing body of all referees in England and classifies them by reference to various levels, ranging from International to Level 1 to 9. It is estimated that there are over 30,000 referees in total in England, with the vast majority of those operating at lower levels of the game. The FA's responsibilities include ensuring that match officials uphold standards and apply the Laws of the Game. Referees may not officiate in any affiliated match or competition unless they are registered with the FA. Upon registration, a referee agrees to become bound by FA Rules and Regulations, including the FA's Regulations for the Registration and Control of Referees (Referee Regulations). The Referee Regulations provide provisions for the registration, recruitment, training, examination, classification, promotion and conduct of referees as well as annual reviews of the list of officials. As well as providing referees for major competitions, PGMOL also provides training and development courses for referees to ensure continuity of training and quality across the various levels. A performance-based payment scheme is also offered to incentivise good performance and correct application of the Laws of the Game. Turning to the performance of referees, PGMOL appoints observers (assessors) who attend each match and report on the performance of referees, The assessors provide verbal feedback to the match officials shortly after the match, then review a DVD of the match and complete a detailed post-match report on the officials' performance. The assessment procedure results in each referee being awarded a competency score after each game, based on a number of criteria including his/her application of the Laws of the Game and his "Key Match Decisions", the latter of which are also reviewed by independent panels as well as clubs. At certain levels of refereeing, a merit table is compiled. In order for a referee to gain promotion to the next level, he/she must attend a selection day and their overall performance will be assessed together with their on-field performance. In terms of coaching, PGMOL provides coaches for referees and in their first couple of years on-the-job, the level of coaching is likely to be more intensive and on a one-to-one basis. Coaches can provide advice on areas for improvement and targets will be discussed and reassessed over time. It was discussed, during one case, that most referees also call their coach after a game to discuss what went well and what might have gone better. An end-of-season review for the referee is also usually conducted. Match Officials are required, under PGMOL rules and FA Regulations, to declare any material conflicts of interest before accepting an appointment. The rules also require match officials to declare whether they actively support a given team as well as declaring any direct and/or indirect interests affecting the immediate family. Once any conflicts of interest have been declared, it will thereafter be for PGMOL to decide whether a match official can go ahead with an appointment or not, and their decision will be final and binding. Such procedures are designed to protect officials from perceived or real threats to their integrity and address any concerns with regards to their independence. Referees are also prohibited from betting either directly or indirectly on any football match or competition, and are also instructed not to tolerate any form of manipulation or unlawful influencing of match results. Hospitality and/or gifts in excess of £50 in value must be recorded on a gift register and anything in excess of £100 requires prior approval before acceptance. PGMOL can carry out its own disciplinary processes in line with its Code of Conduct and previous examples have included a team of officials suspended for breach of match day procedures and resignation from the list of officials, by referees. In the event of any serious allegations of wrongdoing, PGMOL will usually liaise with the FA to discuss who would be better placed to investigate and deal with it. Breaches of the FA Rules and Regulations include failure to apply the Laws of the Game which may lead to disciplinary action. In Scotland, referees operate at all levels from grassroots football to Scottish Premiership competitions and international matches. 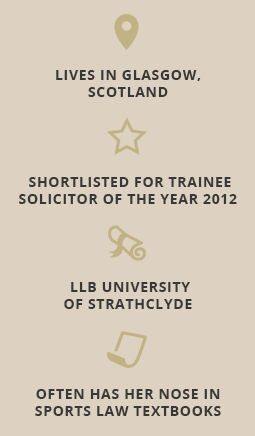 The SFA continuously recruits and develops referees to meet the demands of the Scottish game. In order to become an SFA registered referee, individuals require to undergo an 8-10 week introductory course that is delivered on behalf of the SFA by the 12 referee associations across Scotland. The course is a mixture of classroom theory work, followed by an exam and then practical exercises officiating matches. Thereafter, once the entire course has been completed, individuals are able to join their local referees' association and become a Scottish FA registered referee. As per their English counterparts, support is provided to new referees and a mentor allocated to provide guidance in the early stages of their refereeing careers. The SFA has a Referee Committee who determines the classification of referees from Categories 1 to 4. All other categories are determined by the manager of the individual Referees' Associations, who are appointed by the SFA to oversee operations and create development plans. Category one referees can officiate in the SPFL Premiership and all other competitions in Scotland. Category one referees, who have been nominated by the SFA to FIFA for inclusion in the International List of Referees, can also officiate in UEFA and FIFA competitions. The List of Referees can be found within the SFA Handbook. Under Article 89 of the Handbook, all persons intending to participate as referees in Association Football played under the jurisdiction of the Scottish FA require to be registered as a referee with the Scottish FA and in membership of one of the Referees' Associations. In terms of payment, the SFA provides a tariff that must be followed and clubs may not pay more than the authorised amounts for the services of a match official nor provide more than two complimentary tickets to each of the appointed match officials at any match. Similarly to those referees in England, there are a number of observers who assess referees from Level 3 upwards in conjunction with the national development plan. The level of assessment increases as referees progress through the levels. There are also observers who assess the performance of assistant referees, but this occurs predominantly in SPFL competitions. 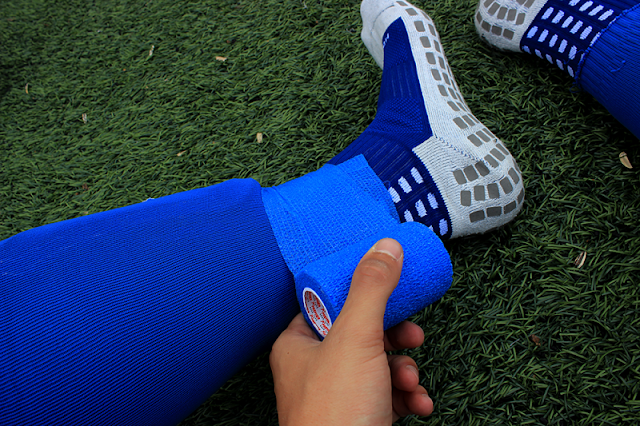 It is estimated that observers cover around 1,200 matches per season. In advance of each football season, referees receive a 'Classification as Referee' document that places certain obligations on them. Those obligations include: to comply with the SFA Rules and Regulations; maintain a satisfactory level of performance; satisfy SFA fitness tests and comply with the Laws of the Game. In terms of integrity, referees are obliged to act at all times with honesty and integrity in relation to the performance of duties (bribery/corruption) and a referee must not for the Season hold a season ticket for any club in membership of the SFA. The 'Classification as Referee' document did not confirm whether there are any further restrictions placed on referees that are similar to England whereby they may not officiate in a game in which the team they actively support is playing and/or to disclose any direct or indirect interests of their family members. This is not to say that those rules do not exist. The 'Classification as Referee' document can be found in the link below. Under Article 14 of the Referee Committee Board Protocol, the Committee has the power to conduct an investigation into any matter related to the application of the Laws of the Game in a match involving a registered referee and to take such action as deemed appropriate in the context of a performance review. 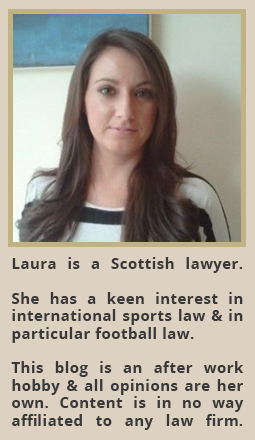 Disciplinary action can also be taken by the SFA independent Judicial Panel under Art. 24 of the Judicial Panel Protocol, which allows for disciplinary action where the Laws of the Game have not been complied with. Referees are also required to maintain high standards of off-field behaviour and whilst referees are not subject to the SFA disciplinary procedure, they are liable to disciplinary action by the SFA's independent Judicial Panel, to which they may be referred by the Judicial Panel. The Judicial Panel has the power to fine, suspend, expel and censure a referee. The Laws of the Game are controlled by the International Football Association Board (IFAB) which is comprised of FIFA, the FA, the SFA, the IFA and the FAW. Law 5 deals directly with the referee's role and is clear in stating that the referee has full authority to enforce the Laws of the Game and that decisions made by the referee are final. The above cases shed further light on the continual assessment and management of referees who officiate football matches in the UK, and the extent to which a governing body may go to protect the integrity of the beautiful game. 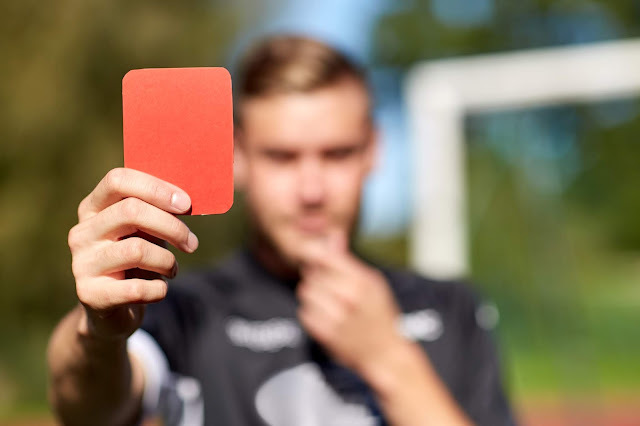 Whilst a referee cannot be held liable for a loss incurred by a decision made, he or she can be subject to disciplinary action by the appropriate governing body or committee if it is considered that there has been a breach of the relevant rules and/or the Laws of the Game. In practice, a referees performance is monitored continually and the quality of games he/she officiates may be affected if performance is not considered to be adequate. Depending on the severity and frequency of performance blunders, he/she may also be subject to monetary fines and/or suspension. Of course, it is easy to point the finger at referees when decisions are incorrect but it must be remembered that a referee often sees potential offences from different angles than fans, is expected to make a decision about that offence almost instantaneously and must do so in a highly-pressurised environment. On Tuesday, UEFA announced that its Club Financial Control Body (the "CFCB") had entered into settlement agreements with a number of national associations, following breaches of the 2015 UEFA Club Licensing and Financial Fair Play Regulations ("the Regulations"). The CFCB oversees the application of the Regulations and may impose disciplinary measures in the event of any non-fulfilment of obligations contained in those Regulations. The CFCB is competent to determine not only whether clubs have complied with licensing criteria or financial fair play requirements but also whether national associations have fulfilled their obligations. There are a number of disciplinary measures open to the CFCB in the event of non-compliance including the option to enter into a settlement agreement with the offender. Up until yesterday, the CFCB had only concluded settlement agreements with clubs but following a number of investigations in relation to the granting of licenses by national associations, under the Regulations, settlement agreements were entered into with the Football Association of Albania, the Football Association of Kazakhstan and the Football Federation of Serbia. 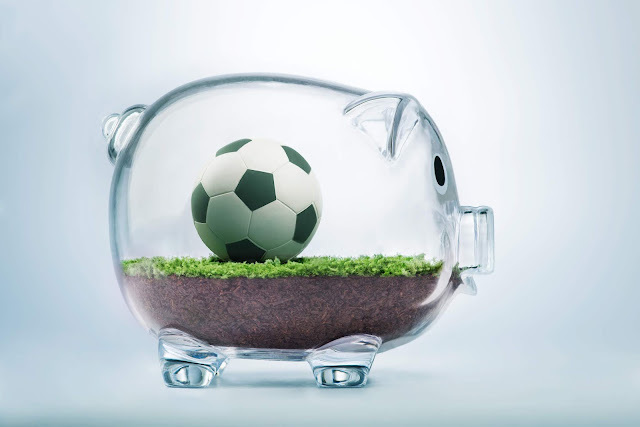 What is a UEFA CFCB Settlement Agreement? According to the Procedural Rules governing the Club Financial Control Body ("Procedural Rules"), the purpose of a settlement agreement is to establish a roadmap for future compliance with the Regulations and may include a number of disciplinary measures within it. The discretion to enter into a settlement agreement rests solely with the CFCB's Chief Investigator who has the choice to either conclude such an agreement or refer the case to the CFCB Adjudicatory Chamber who may impose other disciplinary measures. It should be noted that the settlement agreement may also include various disciplinary sanctions that are also capable of being imposed by the Adjudicatory Chamber, should it be considered that a settlement agreement would not be appropriate in the circumstances. The decision to enter into a settlement agreement provides the offender with an opportunity to get compliance back on track. In November 2017, UEFA commenced an investigation into the Albanian Association's compliance with the Regulations, after a license was granted in May 2017 to its affiliated club KF Tirana ("Tirana"), who had been in breach of the Regulations. Tirana had overdue payables of €152,000, owed to their local tax authorities, as of 31 March 2017. This was a breach, by the club, of Art. 50bis of the Regulations. Despite this, the Albanian Association granted a license to Tirana to allow them to compete in UEFA Club Competitions. UEFA held that the granting of such a license, in light of the overdue payables position, was in direct breach of the Regulations. The Chief Investigator considered that the circumstances of the present case justified the conclusion of a settlement agreement because the Albanian Association had already taken steps to bring itself into compliance with the Regulations including: the appointment of an external audit company as financial expert; implementation of additional assessment procedures; improvement of the quality and reliability of the club licensing documentation; increased support and assistance to clubs; and increased support and assistance provided to its decision-making bodies. The Settlement Agreement places a number of obligations on the Albanian Association and requires the organisation to amend its relevant rules and regulations to ensure that all relevant changes to the club licensing system are reflected in its national club licensing regulations. The obligations imposed on the association aim to increase the quality and reliability of the financial information reviewed and improve the association's assessment procedures, whilst ensuring that those members involved in its licensing committee are suitably qualified and have the relevant expertise. The introduction of an additional preliminary date for the assessment of overdue payables criteria with regards to clubs applying for a UEFA license - The introduction of a preliminary date will not replace the assessment date of 31 March but provides the association with preliminary information in relation to overdue payables. Organisation of additional workshops and bilateral meetings for clubs with at least one workshop and one meeting being held on an annual basis. Each of the criteria experts are to prepare separate individual club reports (i.e. financial, legal, personnel and administrative) and those reports should focus on documents received, any issues identified, any follow-up information required and a summary of the assessment steps performed together with conclusions. Members of the club licensing first instance and appeals body must include at least two qualified lawyers and two qualified financial experts. In addition to the imposition of additional obligations, the Albanian Association is required to pay a financial contribution of €100,000. This sum will be withheld from incentive payments that are allocated to associations for implementing and applying the Regulations. In moving forward, the Albanian Association is required to regularly submit progress reports to UEFA whilst carrying out self-assessment exercises to allow their performance to be scrutinised over a three season period. The settlement agreement can be viewed here. In November 2017, the Chief Investigator commenced an investigation into the association's compliance with the Regulations after it granted a license for UEFA Club Competitions in 2017/18 to its affiliated club, FK Vojvodina. UEFA held that Vojvodina had overdue payables of €172,000 that were owed to employees as of 31 March 2017. Despite that, the Serbian Association granted a license to allow the club to compete in UEFA Club Competitions. The CFCB noted that it was clear that the club had failed to comply with Art. 50 of the Regulations and therefore the license should not have been granted. Similarly to the case of the Albanian Association, it was concluded that a Settlement Agreement was reasonable in the circumstances as the Serbian Association had taken steps to bring itself into compliance with the Regulations including the implementation of additional assessment procedures; improvement of the quality and reliability of the club licensing documentation; and providing further education and support to all members of the club licensing body. The Serbian Association is also faced with amending its rules and regulations to ensure that all relevant changes to the club licensing system are also reflected in the national club licensing regulations. Obligations and financial contributions imposed on the Serbian Association are as per those imposed on the Football Association of Albania. Again, the Association's progress will be monitored closely by UEFA for a period of three seasons. In November 2017, the Chief Investigator commenced an investigation into the association's compliance with the Regulations after it granted a license for UEFA Club Competitions in 2017/18 to its affiliated club, FC Irtysh. FC Irtysh was found to have had overdue payables in the sum of €1,800,000, owed to social/tax authorities as of the assessment date of 31 March 2017. The CFCB considered that this was a clear breach of Art 50bis of the Regulations and as a result, the license that the Kazakhstan Association issued was not in accordance with the Regulations and should never have been granted. As per the cases above, a Settlement Agreement was considered reasonable in this case as it allowed the association to follow a special regime to ensure proper licensing processes and licenses were correctly granted. Further, it was taken into account that the national association had taken steps to bring itself into compliance with the introduction of additional assessment procedures; regular support and assistance to clubs; the improvement of the quality and reliability of club licensing documentation as well as changing the composition of the association's club licensing decision-making bodies. The Kazakhstan Association is also faced with amending its rules and regulations to ensure that all relevant changes to the club licensing system are also reflected in the national club licensing regulations. Obligations and financial contributions imposed on the Kazakhstan Association, are as per those imposed on the Albanian Football Association. Again, the Kazakhstan Association's progress will be monitored closely by UEFA for a period of three seasons. Disciplinary measures may also be combined. The settlement agreements imposed on the above national associations should serve as a stark warning to other member associations that they must assess and scrutinise the financial information received from affiliated clubs adequately and effectively, whilst ensuring that licenses are not granted to clubs who are in breach of the Regulations. National associations can take steps to ensure good governance and best practice in club licensing by reviewing the composition of their licensing committee and recruiting members who have the appropriate balance of skills, experience, independence and knowledge to enable them to discharge their respective duties and responsibilities effectively, under the Regulations. All members of a licensing committee should ensure that they allocate sufficient time to study the relevant case files and documents effectively. National associations should provide members of the committee with induction training and thereafter, regular education and training sessions to ensure that their skills and knowledge are kept up to date. Regular support and assistance should also be provided to affiliated clubs to ensure that they are aware of their responsibilities under the Regulations and any concerns of falling foul of the Regulations are raised as soon as reasonably practicable. The above points are all steps that national associations should be taking not only to ensure that they are in line with the Regulations but that their integrity cannot be questioned. 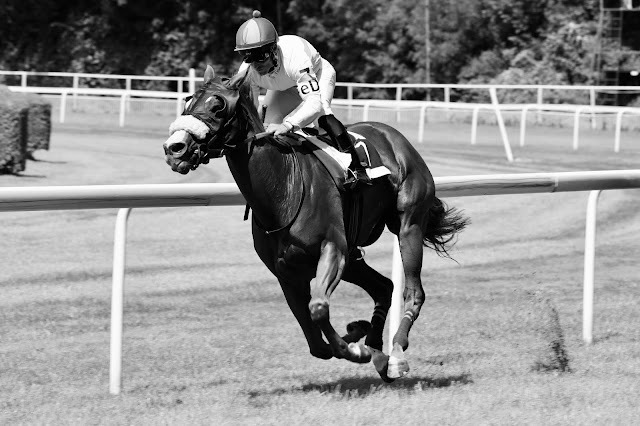 Horse-racing is one of the UK's most popular sports and has the potential to be hit the hardest in the event of a no-deal Brexit. The Financial Times reported that between the UK and Ireland alone, 10,000 horses move annually to breed or race, in a trade valued beyond £300 million. Across England, France and Ireland, it is estimated that there were 26,000 thoroughbred movements. Currently, as part of the European Union, horses in the UK move between member states with relative ease and very little restrictions with no requirement to pass through border inspection posts. Horses are “goods” for sporting purposes and there are various EU directives that govern not only the movement and import of horses but also genealogical identification, breeding, production and quarantine as well as an EU-maintained database that helps the UK horse-racing industry flourish. In addition to the above EU Directives, the UK, Ireland and France are also party to a tripartite agreement that pre-dates the UK's membership of the EU (but has since become EU law). The tripartite agreement allows for further streamlined movement of horses with less documents required during the process as a result of high standards of animal welfare. For example, movement of horses between the UK and Ireland requires only the presentation of the horse's passport. To allow the free movement of horses between member states, you currently only need two basic documents: (1) an identification document (passport which includes health status and veterinary procedures) and (2) veterinary attestation. The Government has recently released information as to what the position will likely look like in the event of a "no-deal" Brexit. If that transpires, the UK will be considered as a third country and thus movement of horses will be subject to third country rules. This means that there will be more stringent veterinary checks (with estimated increased costs in the region of £200-£500) as well as a requirement for more documents which will need more planning in advance from breeders and owners. Thereafter, all horses entering the EU from the UK (and vice versa) will require to pass through border inspection posts. In the UK, there are currently only 3 border inspection posts that are authorised to deal with the import of horses. Turning to the breeding of horses, UK recognised operations involved in the trade and movement of thoroughbred horses will no longer be recognised operations in the UK. This means that the operation would no longer be entitled to enter their horses into the breeding book in the EU and would lose the right to extend their breeding programme into the EU. However, there is some good news, and special treatment can be even to third country breed operations if they meet particular standards. If a UK breeding operation met the criteria, they would be entitled to make entries in the equivalent EU breeding books or registers. However, the effect of a no-deal Brexit will also affect UK transporters working with horses as after March 2019, they will require to appoint a representative within the relevant EU country who would then have to apply to their relevant government department to obtain a valid transporter authorisation. On top of that, transporters will also require a certificate of competence, vehicle approval as well as a journey log. This is currently not the case for UK transporters operating currently to and from EU member states. The Government has warned that there is the potential for the UK not to be immediately listed as a third country - this would result in the movement of horses from the UK to the EU (and vice-versa) coming to a complete halt until the listing was confirmed. Moving forward, the horse-racing authorities of Britain, Ireland and France (the authorities) have been in discussions as to how to legitimately replace the tripartite agreement once the UK leaves the EU, with fears that Ireland's horse industry in particular could be crippled by a no-deal Brexit. To tackle this issue, they are looking to a new EU law on animal welfare which is scheduled to come into force in or around 2021. The hope is that they will be able to include a "high health category" of horse as part of the new legislation that would allow third countries to enjoy special exemptions in relation to movement of horses. Authorities are reflecting on the tripartite agreement and the fact that it came into fruition because of the high standards of sanitary care, health and welfare applied to thoroughbreds throughout the UK, France and Ireland. It is argued that if you rip up the tripartite agreement and do not replace it with a similar agreement, those high standards are in danger of slipping. The new animal health law is therefore seen as a critical opportunity for the authorities to negotiate provisions applicable to third countries with the introduction of a new category of "high-health horse". This would require countries to meet defined standards in areas such as health, sanitation and traceability. If countries are willing to put the time and effort in to meeting those standards then it is argued that they should be allowed freedom of movement. Such a rule would also extend to other third countries such as Australia, New Zealand and the United States. The Government continues to stress that a scenario where the UK leaves the European Union without a deal remains unlikely given the mutual interests of the UK and the EU in securing a negotiated outcome. Whilst representatives of the EU have stated that there will likely be a transition period applied to the horse-racing authority, they will not allow it to go on indefinitely. A no-deal Brexit would see heavy restrictions on the movement of horses and continues to be a live threat if negotiations are unsuccessful. Such restrictions will likely be significantly disruptive as well as costly for all those involved in the horse-racing industry.